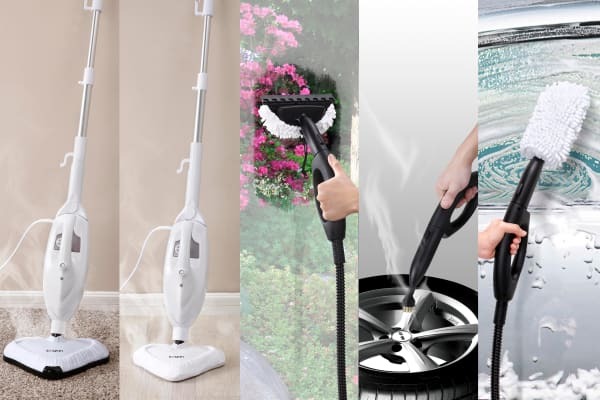 This 10-in-1 Mop uses the power of steam to give you a truly clean home. Faster drying as steam cleaning leaves behind no water. Cut down on the time that you spend on household chores! 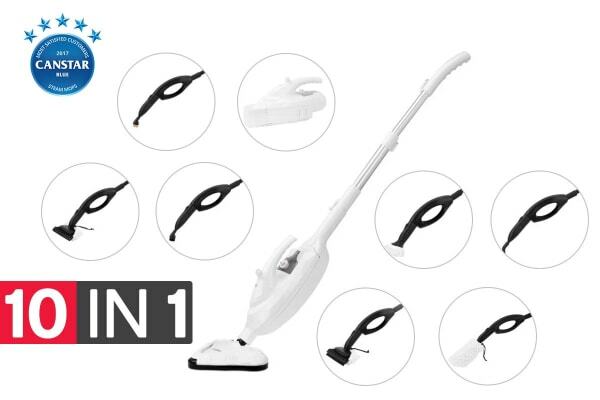 With the cleaning power of the Kogan 10-in-1 Steam Mop, you can sanitise every corner of your house effortlessly. Kill invisible germs, steam fabrics, break down grease and grime, all with just a powerful blast of steam! Clean much more than just floors with 10 amazing functions! Steam is incredibly hot and can kill 99% of germs without the need for harmful chemicals. Just attach the removable counter top to get a kitchen counter that not only sparkles but is also sanitised, keeping your family safe from disease-causing germs or toxic chemicals. Heats up faster to clean quicker! It takes just 15 seconds to heat up to a steaming temperature of 108 degrees! Move the mop leisurely over hardwood floors, tiles, or even heavy curtains to leave them looking as good as new. Watch your carpets and rugs spring back to life with just 15 minutes of continuous steam! Clean your windows and mirrors to a streak-free shine without using any expensive cleaning solutions. Also, with the handy garment and upholstery steamer attachment, you won’t need to fork out money on dry-cleaning bills. Just move the steamer head over the garment or curtain smoothly to remove creases and grime. Clean BBQs, hobs, and grout with just a sweep of the powerful steam jets. Grease and grime are broken down easily and are evaporated by blasts of steam at high temperature leaving only a sparkling clean surface! 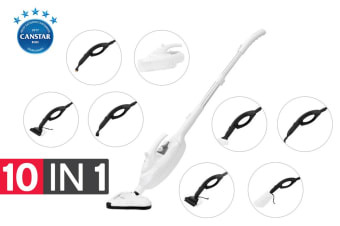 Get sparkling clean results the effortless way with the Kogan 10-in-1 Steam Mop! Purchase replacement microfibre pads for your 10 in 1 steam mop here. 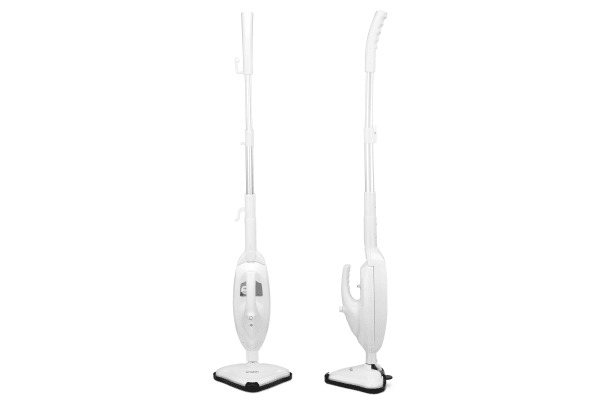 The Microfiber Pad Twin Pack for Kogan 5-in-1 Steam Mop (KAPAD51MOPA) is not compatible with this product. This steam mop features a cold-fill tank, which means you don't have to wait for the unit to cool before refilling. The adjustable temperature control lets you change the required heat for different types of surfaces. It is what was advertised and what I wanted. Lots of attachments to suit the job - windows, cooktops, floors, bathrooms etc.